Because it's a 13-year-old girl, apparently. The Sydney Morning Herald, first printed in 1831, has long been one of Australia's most venerable newspapers. 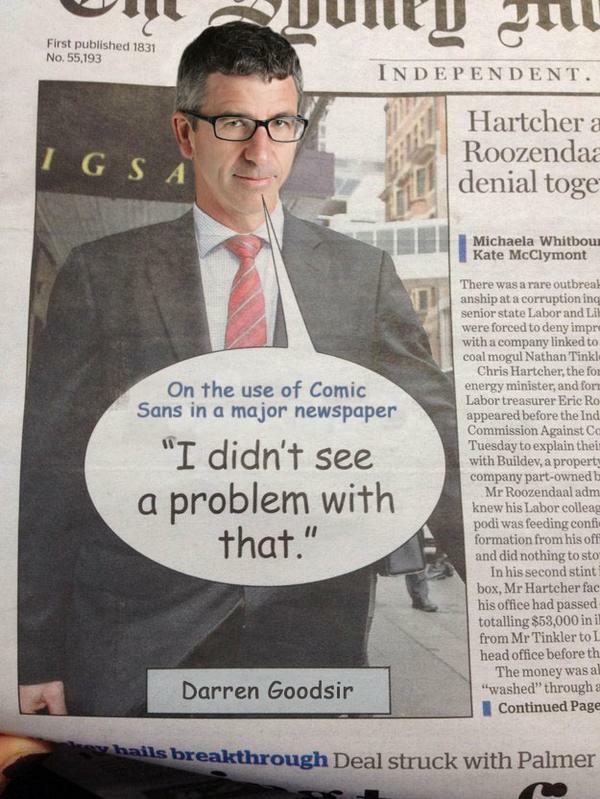 Today it took the extraordinary step of using Comic Sans on its front page. "I didn't see a problem with that." ARE THEY TRYING TO BE IRONIC? But seriously, could you imagine a proud newspaper like The New York Times doing this? An editor at News.com.au was one of the first to throw some shade on the paper and question the future of Fairfax, publishers of the SMH. The SMH's Deputy Editor responded with a sick burn to the tabloid competitor. The Sydney Morning Herald's Editor, who has weathered recent scandals and serious economic troubles, was willing to stand by the art department. Love that comic sans. Under-rated font! @rickeyre @bencubby. Appalled by ex Treasurer&#39;s claims he was cool with leaked documents. Outrage! Love that comic sans. Under-rated font! @rickeyre @bencubby. Appalled by ex Treasurer's claims he was cool with leaked documents. Outrage! Approached by BuzzFeed for comment, Mr Goodsir sent a strong response to serious questions about the use of the font. Needless to stay, people are mocking the newspaper.... mercilessly. The Editor's response was a firm support for the font. And there was exceptional help for the front page design of its website. Tomorrow's print edition is ready to go. I&#39;ve saved some time for @smh and sorted out tomorrow&#39;s front page for them. 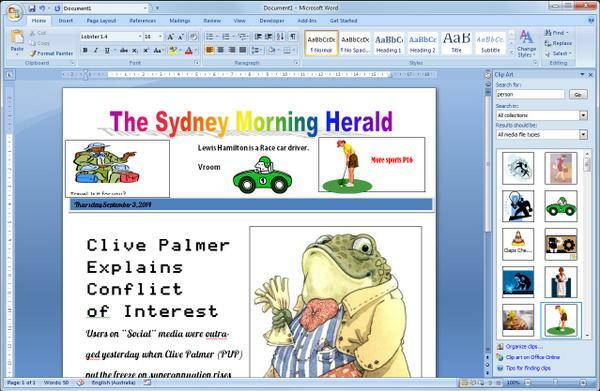 I've saved some time for @smh and sorted out tomorrow's front page for them. The Guardian's Nick Evershed took some time to run the top news sites through a Comic Sans filter. And some of it looked better than others. Like here's Australia's most popular tabloid, News.com.au. The Guardian's very own website wasn't free from a bit of Comic Sans. What if... *gasp*... what if NYT were Comic Sans-ified.